The Council of the Exchange has various committees, which enable it to give special attention to various aspects of the operations of the Exchange. They are the Listing, Finance and Risk Management and Surveillance. The following are the key roles of the various Committees. Finance Committee considers the financial aspects of the Exchange’s operations, including budgets and remureration. Risk Management and Surveillance Committee appraises, and approves applications for membership. The day-to-day management of GSE is the responsibility of management staff headed by the Managing Director and assisted by the Deputy Managing Director. Albert Essien is the former CEO of Ecobank Group. He holds a degree in Economics from the University of Ghana and is an alumnus of the Executive Development Programme of INSEAD (France/Singapore). He is an honorary fellow of the Ghana Chartered Institute of Bankers and a World Fellow of the Duke of Edinburgh Award. During Albert’s 25 years career with Ecobank, he took the group into many of its African markets and most of its international ones. In 2005, he was tasked with supervising the bank’s businesses in the West African monetary zone, overseeing Ghana, Liberia and Guinea, and opening divisions in Sierra Leone and Gambia. He played a key role in Ecobank’s expansion into east and southern Africa, establishing branches in Kenya, Rwanda, Burundi, Malawi, Zambia, Uganda and Tanzania. He became the chief representative for South Africa in 2008, and helped negotiate Ecobank’s alliance with South Africa’s Nedbank, which today is its largest shareholder. Internationally, he helped open offices in the UK, China and Dubai. 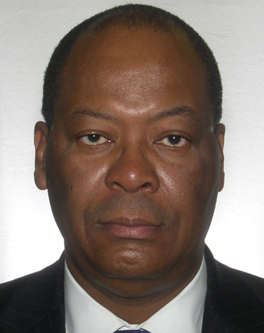 Currently, Albert serves on the board of a number of businesses and non-profit organizations including Chairman of GHL Bank; a Non-Executive Director of LMI Holdings; Chairman of Old Mutual (Africa) Holdings; Chairman of Advisory Board, Oasis Capital Fund; and Non-Executive Director, African Child Policy Forum (ACPF). He is also the Chairman for the Endowment Fund of the College of Physicians & Surgeons, Ghana and a Senior External Advisor for McKinsey & Co. 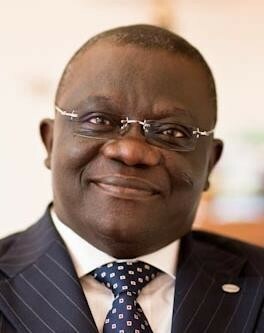 He is currently the Chairman of the Ghana Stock Exchange (GSE) Council. Before that, Michael was the Chief Operating Officer and Fund manager of Databank Agrifund Manager Ltd, (DAFML). He managed the AAF SME Fund, a $30 million private equity fund established to focus on food production and processing at the SME level throughout the African continent. Prior to that, Michael was the General Manager of Investments and Development for the Social Security and National Insurance Trust (SSNIT), Ghana’s 1st tier pension scheme. Michael provided investment leadership and management of the Pension Fund, with US$1.5 billion assets under management. He also led the revision of SSNIT’s asset allocation policy and investment guidelines in preparation for the implementation of Ghana’s pension industry reform guidelines and statutes in 2008. Before SSNIT, Michael was the Deputy Managing Director of NTHC, responsible for and achieving the strategic and operational turnaround of this Ghanaian investment banking boutique firm with advisory, brokerage, research, and asset management units. Prior to NTHC, Michael was the Assistant Vice President of Western Southern Financial Group, a multi-billion dollar financial services company based in Cincinnati, Ohio, USA. Michael holds a MBA (Finance) and MS (Insurance) from the Johnson Graduate School of Management at Cornell University, New York, and the Barney School of Business at University of Hartford, Connecticut, respectively. 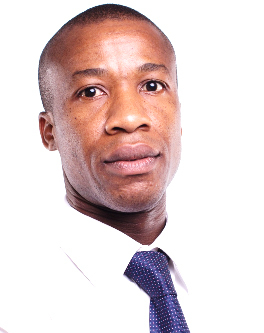 Enyonam helped set-up African Alliance Securities Ghana Ltd (AASG) and is currently the Chief Operating Officer (COO) of the business responsible for day-to-day management of the company’s brokerage activities and oversees the business operations. She has over 12 years of experience in investment banking and securities trading in Ghana.Prior to joining AASG, she worked at Strategic African Securities in several capacities as an analyst, broker and corporate financier. Her industry experience, covering the past 12 years, includes co-managing bonus issue of Societe Generale Ghana, the tender offer of Total Outre Mer’s acquisition of Mobil Oil Ghana and Guinness. Ghana’s acquisition of Ghana Breweries. She worked on Societe Generale Ghana and GCB Bank’s Rights Issues and the Initial Public Offers (IPO) of Access Bank Ghana Plc, Golden Star Resources Ltd and Ecobank Ghana Ltd.Enyonam has served on various committees of the Ghana Stock Exchange and Central Securities Depository. These include the committees on analyzing the CSD’s 5-year strategic plan, the upgrade of the GSE’s automated system, developing trading rules for the Ghana Alternate Market, Exchange Traded Funds and developing Surveillance Rules for the GSE, among others. She holds a BA in Business Administration (First Class Honors) from the University of Hertfordshire, Hungary and is currently a member of the Legal and Regulatory committee of the Ghana Securities Industry Association. Armah is the Head of Brokerage at Databank Brokerage Limited (DBL) – a licensed dealing member of the Ghana Stock Exchange (GSE). He is responsible for the development and execution of the strategic intent of the firm. Prior to this, he was responsible for the Trading and Back Office Units of DBL. He has been instrumental in DBL maintaining a strong securities trading brand, as well as developing strategic relationships in regulated capital markets in Africa, North America and Europe. Armah’s educational background is in Finance and Investments and has eleven (11) years’ experience in Ghana’s Securities industry. He has an in-depth understanding and working knowledge of the equity and debt capital markets in Ghana. He holds a Dealer’s Representative license of the Securities and Exchange Commission (Ghana), and is an Authorized Dealing Officer of the GSE. He holds a postgraduate degree in Finance (MBA) from the University of Ghana and is a professional member of the Chartered Institute of Bankers (Ghana). Leticia is an anaesthetic by training who used her bias in the sciences to enter into the agriculture value chain management, becoming one of the nation’s renowned industrialist in food processing and preservation. 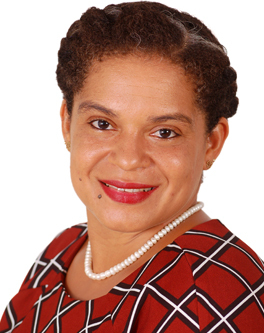 Leticia is an accomplished and experienced entrepreneur who is the initiator and Managing Director of SAMBA Foods Ghana Ltd, the first to commercialize the production of Shitto (pepper sauce) in Ghana since 1998. Leading the way, today shitto production has become an employment avenue for most micro-entrepreneurs, a global commodity and a foreign exchange earner through exports for Ghana. Through prudent management and barring all the challenges of doing business in Ghana, SAMBA has grown into a medium size enterprise employing some 25 permanent people and many casual staff. SAMBA has diversified into the production of assorted fruit juices, flavoured drinks, fruit jam/marmalade, groundnut paste, roasted groundnuts, chilli pepper powder, egushie (melon seed) powder and food spices. Ray Sowah has been a Banker in the City of London for 30 years and has worked extensively in the erstwhile Ghana Commercial Bank London Branch, Ghana International Bank London and Bank of Montreal Capital Markets, London. He is a commercially astute Business Banker & Lawyer with a consistent record of success in optimising the market, revenue, profit and service performance of organisations operating in challenging environments. He has held senior management positions in Compliance, International Trade Finance, Retail Banking, Business Development and in the UK Capital Markets. Ray Sowah attended Mfantsipm School, Cape Coast, and has a BA Honours Degree in English & Philosophy from the University of Ghana, Legon. He is a Barrister at Law and Solicitor of the Supreme Court of Ghana and a member of the British Banker Association, Business Council for Africa and the Association of Foreign Banks, all in London. K. S. Yamoah holds a B.Sc. Administration (Accounting Option) degree from the University of Ghana, an executive MBA degree and the China Europe International Business School and the ICA (Ghana) professional certificate. He is a chartered accountant and an investment banker by profession. His career with the Exchange which dates back to December 1990 has seen him serve as the Presiding Officer on the Trading Floor, Financial Controller, Head of Listings and General Manager. He was appointed the Managing Director of the Exchange in April 2003. Reginald N. France, is a Founder/Managing Director of Boulders Advisors Limited (BAL), a specialized consulting firm headquartered in Ghana, providing a full range of investment banking advisory services to business entities, government and public sector institutions in Africa. BAL is a Licensed Investment Advisor offering the following services: Mergers and Acquisitions; Business Appraisal & Issuance of Fairness Opinion; Corporate Finance & Debt Restructuring; Operations Management; Investment and Pension Consulting Services; Project Financing; Monitoring and Evaluation; and Strategic and Business Plan Development. He is also the founder of Secure Pensions Trust Limited, a licensed Corporate Pension Trustee in Ghana. Mr. France is a Securities and Exchange Commission Licensed Investment Representative. He has significant experience in the financial and capital markets both in Ghana and the United States. His areas of practice include project management, pension design and investment consulting, asset management, structuring and obtaining financing for acquisitions, management buy-outs, expansion financing and recapitalization. 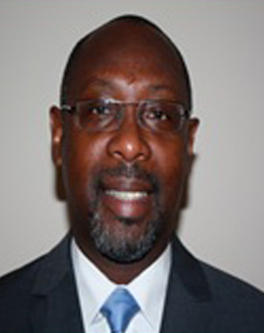 Currently, Mr. France is the President of the Ghana Securities Industry Association and has served as a pension and investment consultant for various public and private pension funds in the United States, Uganda, South Africa and Ghana with assets under consulting of $2.7 billion. Mr. France is a graduate of the Executive Program of Darden Graduate School of Business, University of Virginia. He received his B.B.A. (Accounting) from Bernard Baruch College, New York. 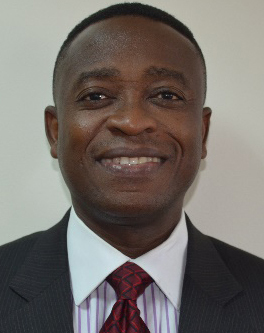 Mr. Ekow Afedzie, is currently the Deputy Managing Director of the Ghana Stock Exchange. He was educated at the University of Ghana, Legon, Ghana where he obtained a Masters Degree in Business Administration, (MBA) and a Master of Arts degree (MA) in Economic Policy Management. He also holds a Bachelor’s degree in Law (LLB) from Mountcrest University College. Mr. Afedzie is a member of the Chartered Institute of Marketing, Ghana. He joined the Ghana Stock Exchange in 1990 when it was established and has served as the Head of Marketing, Research and Systems, then the General Manager before becoming the Deputy Managing Director of the Exchange. 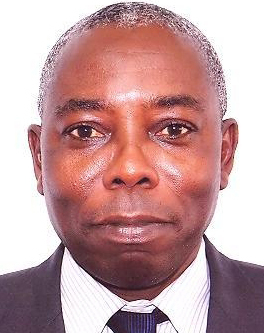 He has also made contributions to local and international research on stock markets, and presented papers on stock market operations at many local and international fora. He serves on the Board of the Central Securities Depository (CSD) Ghana Ltd., as well as a member of the Ghana Alternative Market (GAX) Governing Committee. 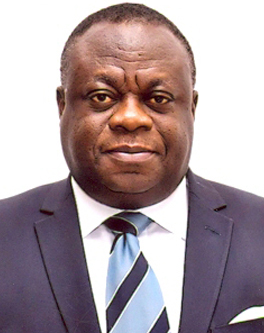 He is also a member of the Board of the Ghana Investment and Securities Institute Ltd. Mr. Ekow Afedzie is a member of the Management Committee of the Business School of the University of Ghana, the Governing Committee of Ghana Fixed Income Market (GFIM) and also that of the Governing Council of the Ghana Securities Industry Association.